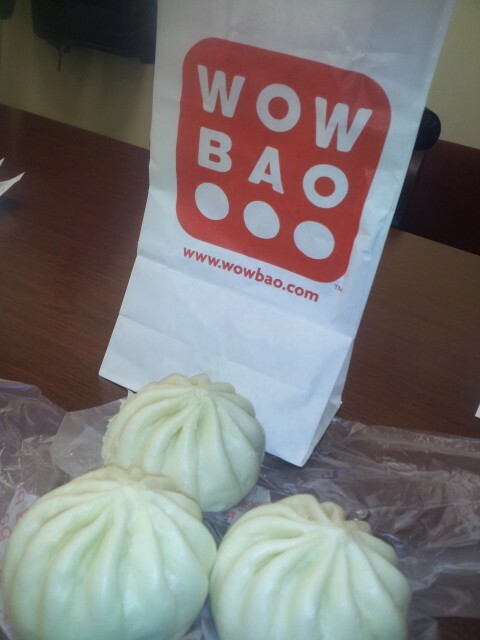 I visited Wow Bao (@BaoMouth) for lunch as part of my “Eat At and Review Every Lettuce Restaurant in Chicago” goal. What do they serve at Wow Bao? Well, basically they serve steamed Asian buns filled with meat or vegetables. 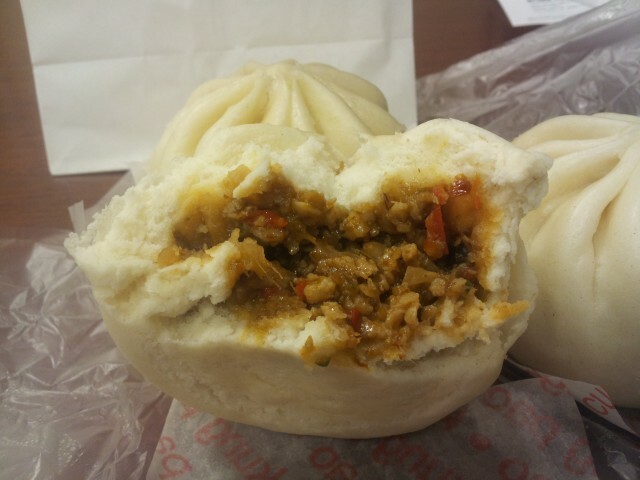 I had been to Wow Bao once before, many years ago. I stopped by to grab a bite before heading to a Non-Profit Meeting. I thought the food was just acceptable. This was my first visit in at least 5 years and I was now quite impressed, not only with the food but for the ordering process as well. Wow Bao at Water Tower Place has two kiosks where you can place your order yourself, use your Lettuce rewards card and pay. Since it was my first time eating here in years and first time using the kiosk it took me a bit longer than it should have — and the people behind me thought I took too long too. I paid and walked through the little maze of stanchions (picture TSA or the bank) and by the time I got to the pick up area my items were waiting. Very nice. My three choices were pretty good. I liked the Kung Pao Chicken the best, followed very closely by the Spicy Mongolian Beef and the Thai Chicken Curry was a very distant third. I almost went back this afternoon to try the BBQ Pork Bao, but figured visiting the same place twice in just a couple hours is just a bit off. Wow Bao offers more than just these steamed (yes, steamed, not fried) Asian buns but they also offer rice bowl, gluten free quinoa bowls, pot stickers, salads and desserts. I can’t really speak to the service here as I really just served myself (selection and payment) but the woman who bagged my choices had a smile and seemed nice…much better than my server here. I will definitely add this to my lunch time options and not only because it is just across the street from my office, but because the food was pretty damn good. What is your favorite Boa? What about the other items on the menu, what should I get next time I visit? By Tim in Food on January 24, 2013 .